This Apni Tally Tutorial is about configuring Multi user Tally on Network. How to configure Tally server and then how to configure Tally client machines. The installation steps required are very simple. ApniTally reader Raju, Shamshad, Austin and many others have faced problems in Tally while working on Network environment. Working in tally multiuser i.e. gold gives you facility to work on same data with many users on it. Smooth working can ease the work load and get the things done faster. Few basic requirements and configuration can lead to easy working in Tally. Smooth working needs few requirements. Lets see these 1 2 3 installation steps. 3. A good Tally Configuration. When ever we talk about server we imagine a machine which is big on computing and having high memory and storage space etc. But in case of Tally a Tally server need not to fulfill these requirements. In case of Tally server an ordinary computer can do the job, as on server not much computing is done. Tally server usually does the duty of holding the data and serving the license file only.It doesn't do any computing on it self as tally seldom gets loaded on server. So we can give an ordinary desktop the responsibility of tally server. It should be well connected with other computers in organization and should have reasonable memory for working. Normal server in the company which may be doing some other duties like hosting, domain controlling etc can be avoided if needed as it would be busy with it's own work. But the most important thing is it should be on power backup. Steps are explained below,but this infographic would help you a lot to understand the concept. Proper network should be there with Cat5 or Cat6 cables. Switches should be used instead of hubs as they are fast and intelligent . Preferably it should be on TCP/IP protocol and every machine should have an ip address on its LAN card with one common IP Pool. If tally server is having IP as 192.168.0.1 then nodes should have the IP as 192.168.0.2 and so on. The work group on all computers should be same and machines can have separate names. 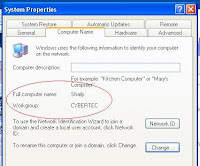 The name of the tally server can be TallyServer and the work group name can be organization name e.g. cts or tallyacademy etc. Most important of them all, your network devices should be on power backup. Configuration at server end as well as nodes is very important. First of all while installing tally on server the check mark for server should be ticked. Then Tally license on server should be active i.e. Tally on the server should show the serial no and Tally Gold Multi user should be there on right hand top corner of Tally. It is advisable that you make the folder name according to its version instead of making a default folder like tally only. If version Tally9 is there then the folder should be Tally9. Share the data folder and give it a name like tally9data. Sharing can be done right clicking the folder and choosing sharing and security. Be sure to allow users to modify the files. These are the general setting which are needed for tally to run on network. If you company data is huge and experiencing difficultly then more network friendly setting can be used as described in my earlier post on network settings. Just open any browser like Internet explorer or Mozilla Firefox or Google chrome. Type this url. It should be first checked on Server machine and then at client machines. other wise if page cannot be displayed is shown then your configuration is not right. Share your experiences in comment box. Its usally not posssible to connect since the IP address you have mentioned belong to 2 different class of networking. now getting error "Tally License server ver 3.0 expected" and goes to Education mode. my tally multi user is working but the node shows educational why ? What about configuring Tally on Client/Server(domain) based network? There is a problem while accessing the "Data" folder over network.!! Check and give help for others if possible..
i.e. If using PCs installed with Windows XP and one PC holds the license server and others are clines of the same workgroup, then a simple network folder share ("data" folder on the server PC) is enough. But in the case I pointed above, if the server is a server class computer installed only with Windows Server OS (windows 2003 or later) then the normal folder share won't work. (In Domain architecture with ADS). you can do it but in that case the subnet mask should be 255.255.0.0 of server and the clients both. Hi i have upgraded from Tally V3.3 to Latest Tally V4.93. Successfully migrated the data. Upgraded server system with Win 8, 64Bit, 8GB Ram. After all this upgrades the clients are very slow now. As they press V for vouchers its hangs, as they pass and entry at POS and at saving entry it hangs, Print also comes out slow after entry. Please help me find a solution, as even tally people could not help me....! I have an interesting problem. I have the Tally data on my client computer. When Connected to the network to get the license server, tally load times are very slow and response is sluggish. but when I work in educational mode, tally is super fast. Can you help out? hi i have tally erp9 auditor edition using with 10pc user currently i have create i5 pc config with 4gb ram as server working in lan connection but performance is not up to mark i am planning to buy ibm/lenovo server config 3.2 ghz 8 gb ram will it process fast and i will enjoy the speed in work?? please guys, I have my tally server but i cant browse when i sing 192.168.88.75:9000 on my network can someone help me what can i do?? ?